Going “Green” is a very popular goal in today’s lifestyles. Many of Garden Architecture’s clients request that their plans include gardens that attract birds and butterflies, feature native plants and recycle water resources for irrigation. Often the goals of creating beautiful outdoor living spaces and gardens easily align with the principles of Conservation Garden Design. This approach includes planning techniques that conserve natural resources like healthy topsoil and clean water, reduce consumption of fossil fuels and eliminate the need for polluting fertilizers, herbicides and pesticides. The property can be shaped to mimic how a natural ecosystem works, so that rainwater can fall and be reabsorbed directly into the soil, and plant, insect and animal ecosystem webs are reconnected. 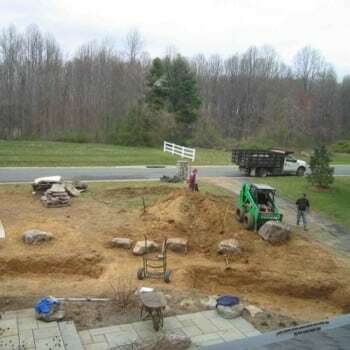 We’re here to help you create the garden of your dreams, while respecting and supporting the natural environment that connects us all. 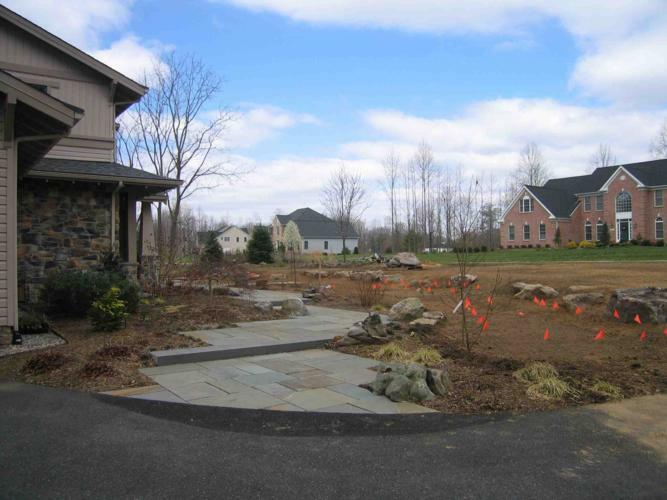 Managing and reusing storm water runoff from a property can be an excellent way of contributing to the health of local ecosystems and reduce clean water consumption. 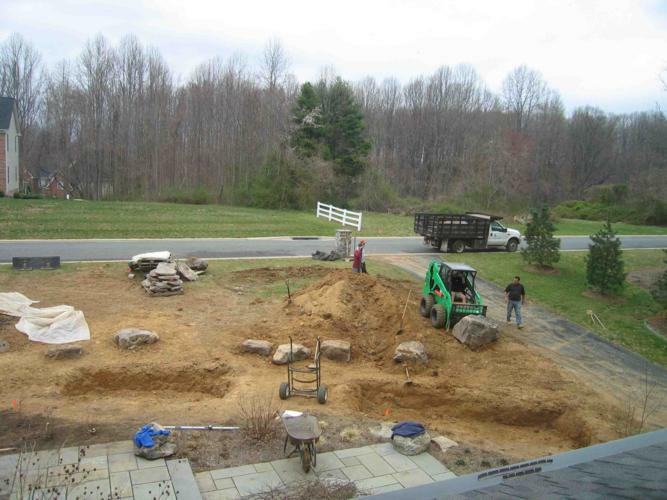 Storm water generated from roof drains and “hardscape” surfaces can often be directed to garden areas so that run off water can be reused by plants. Water can also be directed to small storage areas such as rain barrels for immediate watering access, or it can be directed into large above or below ground “harvesting” systems to supply irrigation or recharge ground water tables. 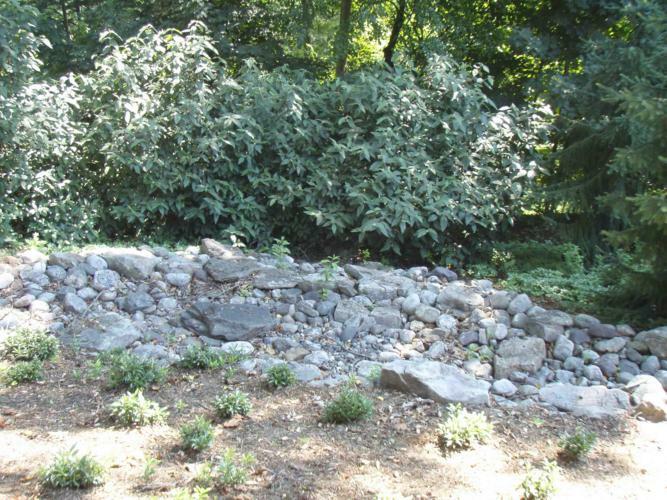 Dry streambeds can be a good way to slow the pace of water run off so that soil erosion is prevented. The planting design of a garden can incorporate plant species that have low water needs once established. 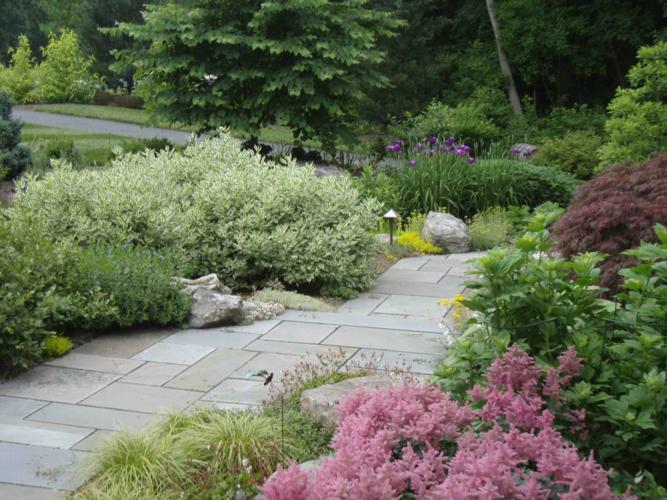 Designing a garden that incorporates native plants can provide benefits on many levels. Native plants are typically better adapted to local conditions of soil, temperature and weather patterns, resulting in plantings that require lower maintenance. Many have garden worthy features like beautiful flowers, fall color and winter interest. Additionally, they often better support the needs of native insects and animals, making them the basis for creating a Wildlife Garden. These gardens are designed to create a habitat of resources for insects and animals that folks would like to attract to their properties. It includes planning for plants that provide food and shelter, water features and protection from predators. What could be more delightful than a flower garden full of colorful butterflies and the song and beauty of various birds fluttering through the trees.